Beaumont 3 tap hole deck mounted basin fitted with conventional screw down valve mechanisms with pop up waste set. This perennial favourite collection of basin taps and bath shower mixers capture the aura of a bygone time. 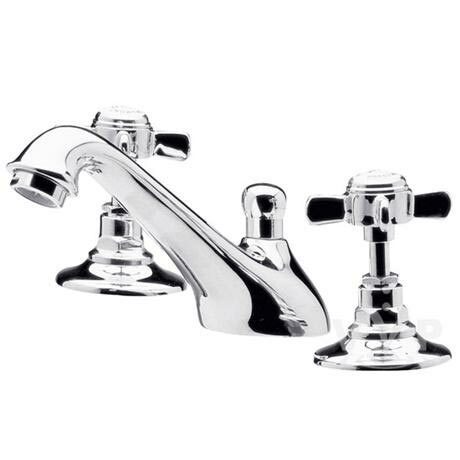 The Beaumont tap and mixer collection is the perfect partner to the Beaumont showers range. Hi, this product comes with solid tails attached. The fitting on these is 1/2 inch. Hope this helps.